How RERA Impacts The Lease Transactions? 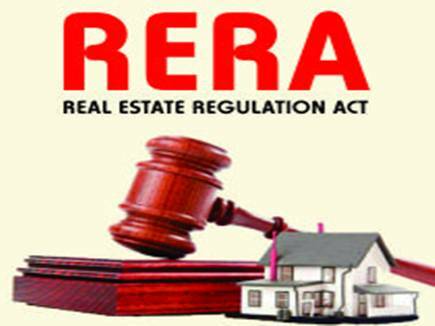 Starting from its implementation, the Real Estate (Regulation and Development) Act, 2016 (RERA) has made the structural reform distinctive and transparent. Maharashtra was the first state to notify the Act in the presence a state regulatory authority. As of now, the state authority has acted on the errant buyers against complaints in bulk from the aggrieved home buyers and still it has been dealing with a number of complaints filed by numerous allottees against the builders and the agents of the state. Now the Appellate Tribunal is also operational in the state. One of the most debatable subjects of the RERA provision is the definition of an “allottee”. RERA came into the picture to ensure accountability in real estate transactions. However, by the term “allottee” RERA points to a person to whom any real estate unit is sold not a person to whom the possession is given on rent/lease. The Transfer of Property Act 1882 deals with renting/leasing properties where the term lease is defined as a right to enjoy an immovable property for a pre-determined time period in consideration of a price paid or agreed. In a property deal, where the developer executes a lease agreement with the allottee, the developer is addressed as a lessor, and the allottee is referred as the lessee. The price paid by the allottee to the promoter is known as the premium, and the money exchanged is referred as rent. Yet there are projects where the developers execute lease agreement/s in respect of a plot, apartment or building, with certain provisions which are one and the same to that of an agreement for sale for e.g. the date of handing over possession. Now the million dollar question is will such transactions be ruminated by RERA guidelines, particularly when it comes to a long-term lease between the lessor and the lessee and the project is registered with MahaRERA? The FAQ’s made available on the MahaRERA website answered this query where it stated that long-term leases will be considered under MahaRERA scope. Acting on an earlier complaint, the adjudicating officer of MahaRERA cited that lease transactions won’t attract RERA norms. However, the Appellate Tribunal in its first judgment dealt with this crucial issue and relying upon the provisions of law governing lease it ordered that lease transactions will be governed by the real estate Act as well and MahaRERA will hear such cases in the future. The following verdict will mandate those project registrations under RERA and adhere to the guidelines of the Act. Now the allottees could seek justice to the Authority or the adjudicating officer to secure their rights as the case may be. Thus, developers have to draft the lease documents cautiously complying with the RERA norms in order to avoid the lawsuit. –LNN (Liyans News Network)– Stay updated with the real estate market. For Kolkata properties, explore residential property sale in Kolkata and avail attractive deals and discounts on selected luxury and budget properties in Kolkata. Drop your requirement now to get attended by best of the market experts. Homebuyers’ Body FPCE Beats the Bushes for President’s and PM’s Mediation for RERA Reiteration by WB Government.